When it comes to late-night hosts, I never thought I’d hear myself say this, but…I have almost reached the point where I prefer Craig Ferguson to David Letterman. When it comes to my all-time favorite, I don’t think I’ll ever see a day when Dave will be topped, but there’s just something about Ferguson that comes closer to matching my current sensibilities. In particular, I love the way the guy speaks off the cuff and from the heart. 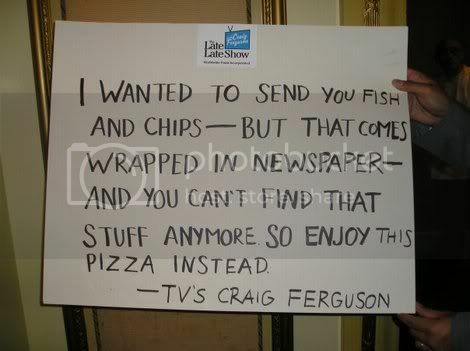 It’s not that other hosts can’t and don’t step outside of the standard talk-show mold to address specific issues of the day, but Ferguson does it every day of the week and throughout the majority of his show, creating a feel of spontaneity where you truly have no idea what he’s going to say next. Plus, he has such a “real person” vibe that you know that, when he does say something, it’ll sound like something that you might say. Well, you know, if you had a Scottish brogue. And were funnier. 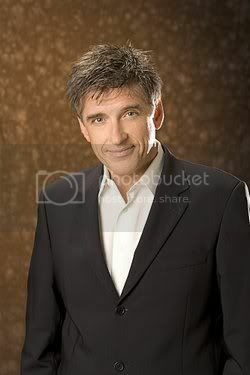 Craig stopped by the TCA tour for what was described as an “informal press conference,” which is no doubt why he started the proceedings by saying, “First of all, let me say my wife is standing by me through this very difficult time,” adding that “Buenos Aires is lovely at this time of year.” From there, he was willing to tackle any and all questions that were thrown at him, but before I offer up some of my favorite moments, I must drop this bombshell: he’s considering getting rid of the puppets. Yes, I know: I’m as upset as you are. And so were many of the others in attendance, several of whom immediately gasped in horror. Everybody’s talkin’ ’bout Conan…including Conan himself! It’s how you get to be No. 1 without being No. 5. LOL He may say he doesn’t agree with it but I’d be willing to bet that the folks that charge for the ad time on his show do. Well this will make his new book, American On Purpose, a book to read. I’m looking forward to reading how the real Craig Ferguson and the public “Craig Ferguson” take on the two most sureal demographics in America.